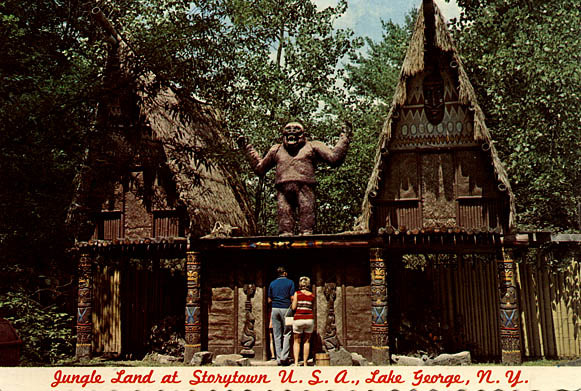 TUESDAY: I mention to a co-worker that as a child I was terrified of much of that Lake George attraction then known as Storytown. The menacing gorilla at the entrance to the Jungle Land section was bad enough (not to mention the racist imagery), but I’m still working out the psychological trauma I experienced watching the bad guys fall from building balconies after being "shot" by the marshall of Ghost Town and his mob of junior deputies. WEDNESDAY: Daddy’s introvert/scaredy-cat genes trump Mommy’s extravert/no-fear genes as Zoe spends the day at a local kid park quietly watching her cousins (ages 3 and 2) enjoying the rides. That’s right: watching. She was too afraid to go on every single ride in the park, including the 2 mile-per-hour train.